The contour brush, #5, was purchased during the very end of the last brushes' availability; and it was obtained in some haste, as both myself and a friend of mine wanted That Particular Brush... and the brushes were all being discontinued before being "re-booted"... and it wasn't available in any of the half-dozen "usual" places I purchase Chanel in Dublin... and, and, and. In a panic, I rang the second last of my usual Places to Check and they were also out, but the Chanel concession at the very last place I rang had the very last two of these available in Ireland. The SA recognised the panic-stricken tone in my voice, and kindly put them away for me. They were duly picked up later on that day, as soon as permitted by the end of work and rush hour traffic, and one despatched to my friend in Cork, and one retained for use by me, in Dublin. Well, the brush itself, sadly, was a tiny bit of a disappointment. At least, initially so. I have eight or so other angled contour brushes (of the MAC 168 variety) but this, I felt, was just too stiff. That was, until I started using it properly. The tiniest amount of product will work, because this brush uber-firm. The bristles really don't move on it. You can get a very sharp, defined angle with it, but you really really do need to blend it out afterwards. Swipe a tiny amount of powder on with the top of the brush, then use the side of it to blend out. This works. Otherwise, you may need to use another brush for blending. Your call. I can use this, but it's not one I reach for that often, which is a shame, considering the effort that went into obtaining it, and considering it wasn't inexpensive. This friend of mine is a nutter. I mean, a wonderful nutter, but a nutter nonetheless. She would probably say the same about me. We do tend to egg each other on a bit much with makeup purchases (we never refer to them in any terms that suggests spending money, no, we say "Oh, I picked up that Product XYX the other day"). We speak frequently, and very often (not always) it's about makeup, style, fashion. Neither of us is an expert. But we like it. We both mark new product releases off in our calendars. We both are front and centre at the new Chanel launches, eagerly awaiting the holiday collections, and the new and unusual offerings. And we help each other hunt down more obscure or discontinued bits and pieces of "kit". The only link I could find (who knows how long it'll stay up). I also have six small versions of the synthetic Angled Eyeshadow Brush (#27), because they come free with the Illusion d'Ombre eyeshadows from the Chanel Fall 2011 line, and I've been reliably informed by the Chanel SAs at a number of concessions that the new brush is the exact same as those other, freebie, smaller brushes, just with a longer handle. I don't personally like the (free) brush. Partly because of the teeny tiny handle, but also because I feel the actual brush (aside from the handle) just isn't anything "in particular". I think it's an odd shape; it's not sharp enough for liner; it has a rounded edge, so I don't think it creates flicks well; it's not stiff enough for brows; I don't think it's great as a lay-down brush - I find that other brushes (or my fingers) work much better for the Chanel Illusion d'Ombre shadows (with which these brushes come free). Of course, everyone is different and I'm sure a lot of people out there love these brushes. But they're not for me, so all six of these are thrown into my "unused brushes" drawer. Here's a link to the official, non-freebie, #27 brush. *Beautiful things make me happy; not specifically things that cost money, but things that are beautiful in general. Art, creativity, the sunrises we get here over the water (I'm directly east-facing), gluten-free-fat-free-calorie-free-carb-free chocolate**, my better half, my family, my poor arthritic cat. And my good friends. Especially Chanel-obsessed friends who purchase me makeup brushes from their new line. All these make me happy. **Yes, it does actually exist... and it's horrible! But I do love the idea behind it though. My #2 brush, kindly gifted by a wonderful friend! 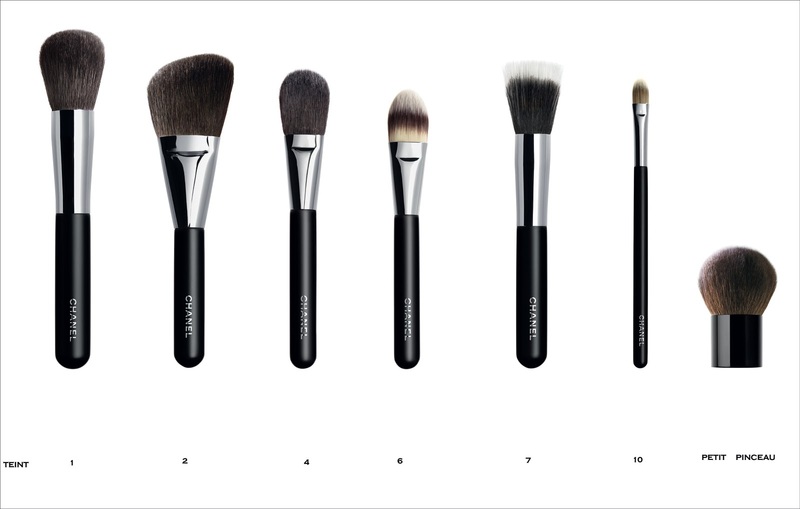 It's very difficult to find out information about these new brush offerings. The Chanel website doesn't specifically list them under the "What's New" section. The individual brush information doesn't single the brushes out as "new". There's nothing under the "Chanel Confidential" section, which doesn't contain any Holiday Collection information yet either. To my knowledge, and according to the Chanel SAs I spoke with, the older brushes are no longer available in the shops, even though they're still listed on the Chanel website. The only information I could glean was from the ever amazing cafemakeup.com, which suggested that these brushes are due for release late 2011/early 2012 (but we already have them here in Dublin, at least, for the last few weeks). 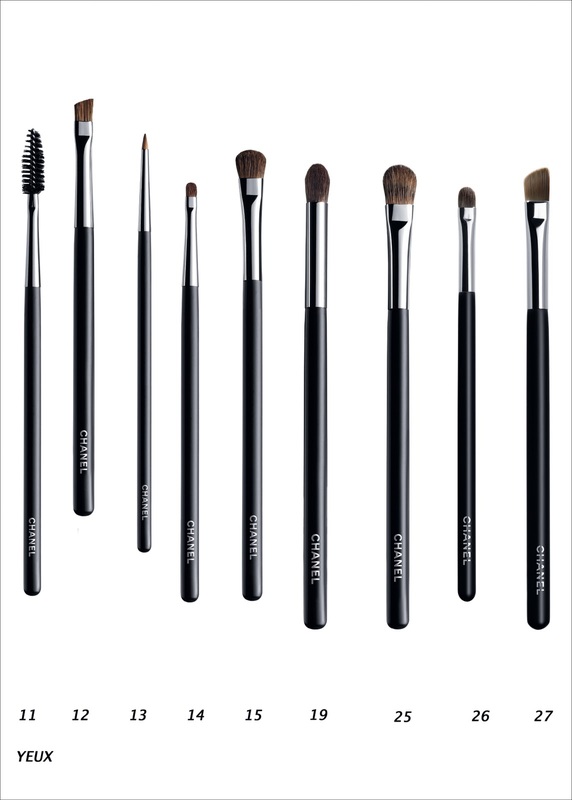 My chat with the Chanel head office led me to understand that these brushes were released later than expected (originally slated for release August this year), but I don't have any official press release information or pictures on these (if I get some, I'll edit and re-post). As I only currently have one (of the new ones) I can't really comment hugely about them yet. But from my trip into town a fortnight ago, I know that I will be purchasing at least another two or three of these in the future. 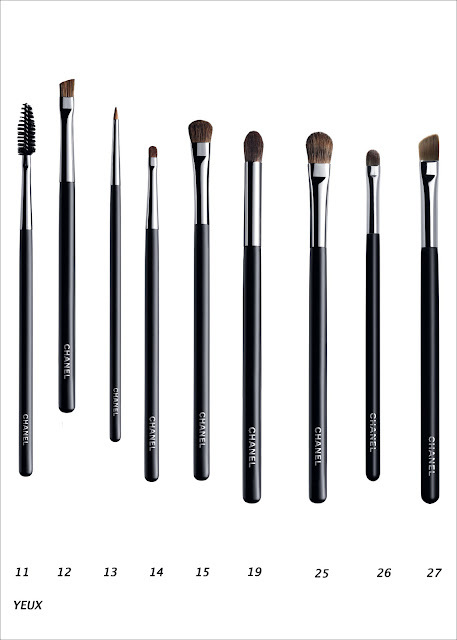 Chanel brushes are not cheap, but (some of them, at least) are really beautiful, thought out, top quality, and amazing offerings for what they do. And like all Chanel products, they're packaged beautifully, and come with their own dust covers (which, much as I love, I aways remove and toss). The upshot. Do I recommend? Yes. Tentatively, at least, with consideration given to cost. Chanel brushes are a thing of beauty. As is my dear friend. Thank you for your kind gift! Et c'est ça! Precious little information available about these beauties just yet. At present, I only have the #2 of the new range, but I do have my beedy eyes on the #7 (one can never have enough dual fibre brushes!) and the #10 (purely for comparison with my trust #8's of course). With respect to the eye brushes, the #14, #19 and #26 look the most interesting of the bunch, but given that I have about 200 eye brushes, and given my (personal) disinterest in the #27, the rest of them are really just "more or less what I already have".